The slums of Nairobi, Kenya, rank in the top five of the biggest slums in the world. Nearly a million people live in the Mathare slum alone, an area of less than one square mile. A population of this density, living without basic human services, is a breeding ground for all kinds of physical, emotional and spiritual problems. These overwhelming issues led Wallace and Mary Kamau to create Missions of Hope International (MOHI) in 2000. They began by serving 50 children in one school in one section of the slums. 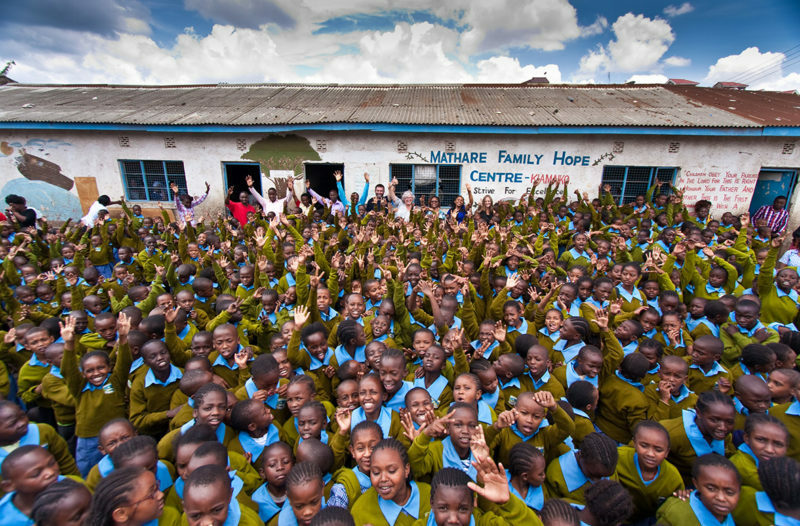 In 2004, MOHI and the CMF urban poor team already serving in Nairobi launched a partnership with the goal of restoring hope to individuals in disadvantaged communities through spiritual, social, physical and economic empowerment. Since this partnership began, MOHI has exploded with growth in both facilities and programs. Today, MOHI is a Christ-centered, non-governmental organization that works with children and families in the slums of Nairobi and has expanded into remote villages in rural Kenya. MOHI has a dedicated staff of more than 850 Kenyans and an international team of partners and leaders, plus missionaries from CMF International. 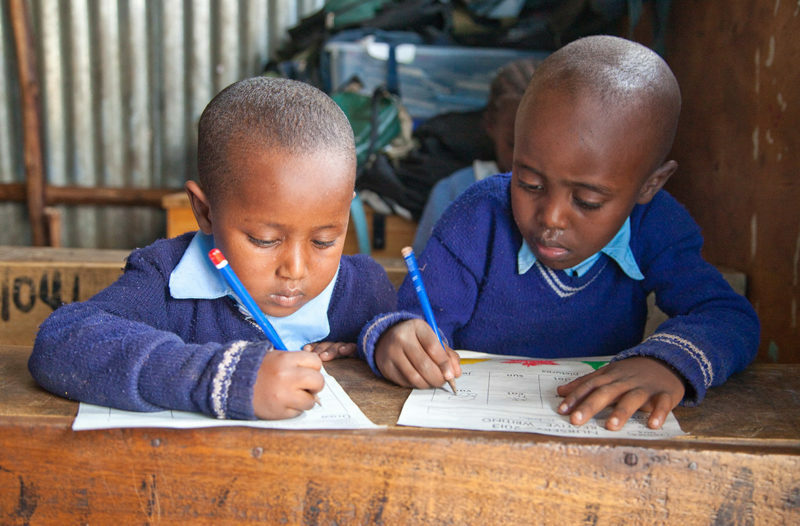 They currently serve more than 14,500 children in 21 communities throughout Kenya, have started 13 Outreach Hope community churches and developed partnerships with two local churches. A large part of MOHI’s growth has been due to the Child Sponsorship program, which was initiated by MOHI and then absorbed and developed into an online site by CMF in 2007. The program provides an excellent Christian education, nutritious food, medical care, extra-curricular activities and the opportunity to hear the life-changing message of Jesus Christ for more than 14,500 children. MOHI’s empowerment programs create jobs and a reliable income for parents of students and other community members who have little to no formal education. The hands-on skills training programs include jewelry-making, cosmetology, fashion design, knitting, welding, and sewing uniforms for students. The hand-crafted items made by people in the programs are sold in MOHI’s in-house gift shop, and the income they earn sends their children to school and meets the needs of their families. Through its microfinance program, known in the US as BigDent, MOHI inspires and invests in entrepreneurs. Participants in the microfinance groups receive small loans to start businesses, and are trained in Christian business practices. As savings accounts and businesses increase, they are able to repay their loans. These funds are invested in more entrepreneurs, continuing the cycle of empowerment. MOHI’s varied health initiatives advance physical, spiritual, mental, emotional and relational health. Every life is valued, dignity is restored, and good health is increased. This transformation moves from home to home and throughout communities. Three MOHI medical and dental clinics deliver quality, affordable healthcare to thousands of children and adults. Clinics provide healthcare in rural areas where it’s limited or doesn’t exist. * Community Health Evangelism (CHE) groups that encourage communities to find solutions to their needs. * Classes on disease prevention and healthy habits. * Counseling for children and families. * Post-test clubs for people living with HIV-AIDS. * A disability program for children with special needs. In all they do, the MOHI staff and CMF missionaries seek to draw men, women and children to Christ, and view every connection as an opportunity to share Christ’s love. Bible studies, mentoring programs, and mission opportunities are primary ways that MOHI staff and missionaries directly share their faith. They also connect believers to neighborhood Outreach HOPE churches and work with them and other churches to train pastors, equip church members for ministry and develop leaders who will multiply the gospel throughout their communities. MOHI’s vision is shared and driven by more than 70 US churches and other non-profit organizations that partner with MOHI. These partners provide community sponsorships that help start and grow schools, churches, small businesses and training centers. They also organize short-term mission teams that provide business and educational trainings and VBS programs and promote strong connections between the MOHI students, staff and the churches. Your church can partner with a specific slum community through Missions of Hope to help transform lives and communities with Christ’s love. Experience MOHI’s ministries first-hand by planning a visit to Kenya. Join a short-term mission team through your church, arrange a vision trip to learn more about MOHI, or meet your sponsored child. To start planning your visit to MOHI, please email visit@mohiafrica.org to begin the conversation.